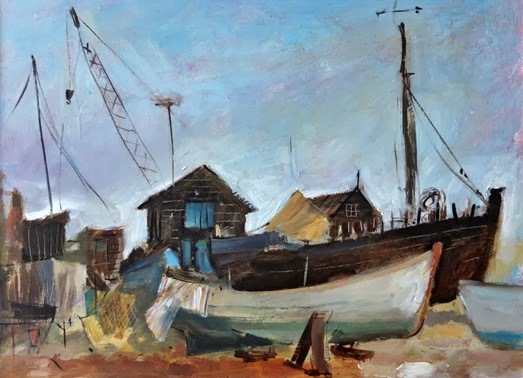 I think this must be one of my favourite places, not only to paint but also to wander amongst the fishermen's sheds, boats and general paraphernalia you find in an old harbour. 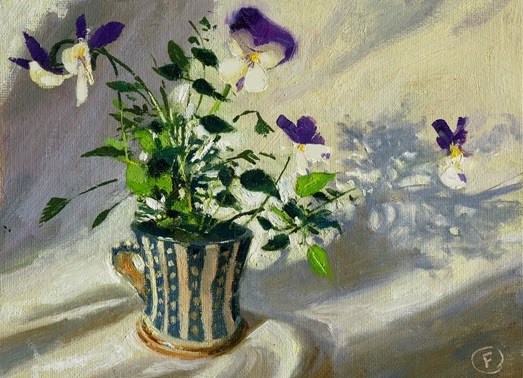 I found these beautifully delicate Viola's in my local nursery, I was as interested in the structure of the plant as I was in the shapes it made on the white cloth. 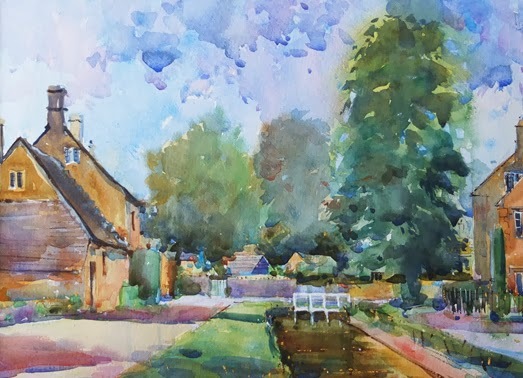 An image from last Summer in the English Cotswolds, painted during my exhibition at the village hall in Lower Slaughter, unusually there were not many tourists but a small group had gathered behind me and were intrigued to find something else to photograph! High Summer in Lower Slaughter.